Probiotics can improve the health of your all-important microbiome but choosing one can be mystifying. There are hundreds of probiotics on the shelves at your favorite health food store. Equipped with the right information, you won’t need a degree in biology to choose the best product to get great results without doing harm to your community of friendly bacteria. Probably everyone. Certainly, everyone with digestive symptoms should take a probiotic reflective of their individual condition. Even healthy people can benefit from a probiotic to protect against daily assaults and expand diversity to the microbiome. Contemporary life delivers daily environmental injury; nutrient deficient foods and medications to challenge our gut balance. Adding a probiotic to a diet that includes a variety of fermented foods within a fresh, whole food diet creates a solid foundation of diverse organisms. Diversity is key and relying on one food source, such like yogurt with live and active cultures does not provide enough variety of organisms. (http://www.wellbelly.net/blog/page/2/). How to choose the right dosage and the right match for me? The dosage of probiotics varies from 1 to 10 billion CFUs (colony forming units). One billion meets the needs of a healthy digestive tract. Think closer to 10 billion if you are taking antibiotics or showing signs of an imbalanced microbiome (http://www.wellbelly.net ). Pricing and marketing claims can be tricky so it’s important to read the label to determine how many capsules it will take to get the dosage you need. A less expensive product may be misleading as it may take several capsules to reach an adequate dosage or not contain human strains. How to take an oral probiotic. Avoid taking an oral probiotic at the same time as taking an antibiotic. Mixed together the antibiotic will destroy many of the CFU’s in the probiotic. Best to take the probiotic away from a meal so less harm is done to the CFU’s by gastric acid and digestive enzymes. Right before bed can be ideal. Storage has become more convenient. Extreme heat and light exposure can damage the organisms but most products, today, are safe at room temperature if packaged in a dark container. Requiring refrigeration does not make a probiotic more effective, but following the directions on the package does preserve the efficacy. What bacterial strains should be contained in my probiotic? The best products contain a minimum of seven, varied bacteria strains most common to humans. Many probiotics will be derived from soil-based organisms (SBOs). SBOs are generally less expensive but are not naturally found in the human digestive tract and have never been part of the symbiotic relationship. SBOs are in the form of spores which can compete with the normal residential community of organisms. This competition can be detrimental to the microbiome that is out of balance. Once established, the SBO spores can be difficult to get rid as they occupy precious space that human strains need to flourish. Ask the store personnel to direct you to the human strain probiotics. The research surrounding the microbiome is evolving on a daily basis. Current thinking indicates that there are at least 500 species of bacteria and yeast that comprise the average 2.2 pounds of microbiome. Two dominate families of friendly bacteria organisms comprise human strain probiotics, lactobacillus and bifidobacterium. The following describes the strengths of the most common strains. Lacto Bulgaricus, Acidophilus and Casei assist with lactose intolerance. In addition, Acidophilus may be helpful at reducing cholesterol and Casei supports brain function. Lacto Plantarum can reduce inflammation and Rhamnosus supports the immune system, GI health and eczema. Bifido Lactis and Bifidum support immunity, Longum supports brain function and constipation and Beve supports GI health and has anti-aging properties. Streptoccus thermophilus which is not related to strep throat is a friendly bacteria that assists lactobacillus bulgar by making nutrients that assist with growth. Saccharomyces boulardii is a yeast that competes with candida albican (an opportunistic yeast), supports immunity, GI health and reduces diarrhea. Don’t drive yourself crazy trying to select a perfect match. The science continues to evolve at this time but is not positioned to offer products with an exact match for every individual need. 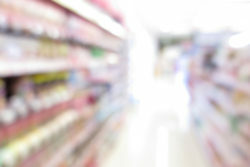 Use this information as an engaged consumer in evaluating the multitude of probiotic products and can make an informed purchase that will contribute to your overall health. Keep it simple: Consider the primary reason you are considering probiotics and select a product that has dominate numbers of CFUs which reflect your general condition. Probiotics are good for you and should be considered an important tool for maintaining health.